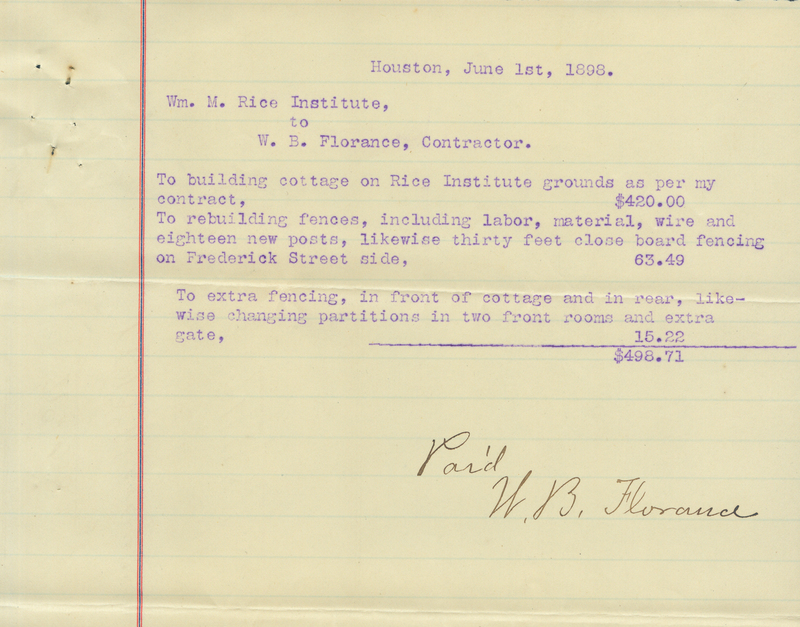 The “Financial Records” boxes that we found in the old William Marsh Rice land leases collection continue to bring forth surprises. Many people know that the site of the Institute was originally to have been downtown on about 6 and a half acres on Louisiana Street between Bell and Pease. This would have been plenty of space for the manual training school that Mr. Rice was contemplating, and even before his death some minor work was undertaken by the Board on that property: a small building was erected to house the Institute’s business office, trees were planted, and a fence built around the lot. 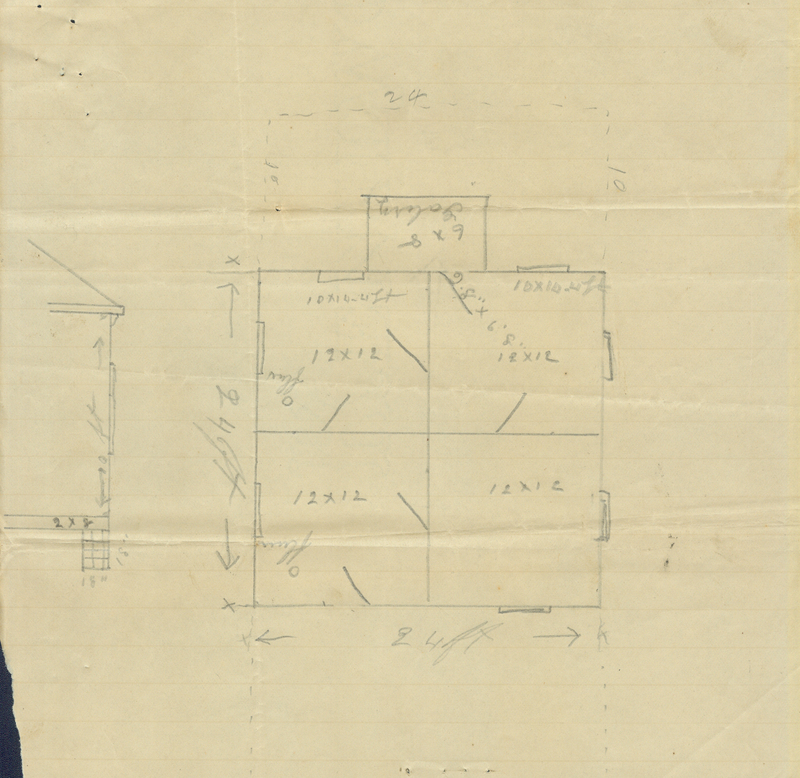 Today I found a rough plan for that first building and an invoice for its construction in 1898. It’s pretty simple–a foursquare cottage on a pier and beam foundation with a small porch. I also found the bill for connection to the city water system. They needed to water the new trees.